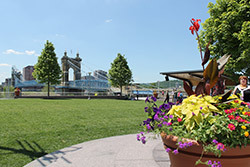 ﻿ Smale Riverfront Park - Why Smale Riverfront Park? 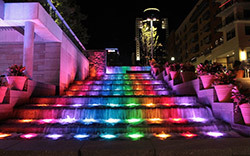 The park will bring 1.1 million new visitors to downtown and will have a positive impact on tourists, convention goers, and downtown business. The park will leverage the development of The Banks and it will serve as the front yard/neighborhood park for its tenants, visitors, and home owners. The park will be the setting for major events and festivals. The park will contain restaurants, cafes and concessions to provide food and drink to visitors, as well as to generate revenue.